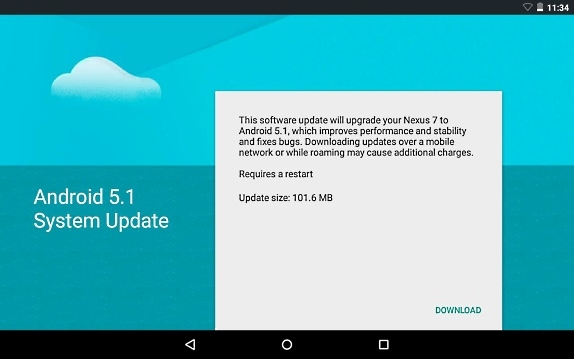 Google Nexus 4 and Nexus 7 users have started receiving the Android 5.1 Lollipop OTA update in India. Like the Nexus 5, the update upfront gets tweaked Quick Settings options in the notification panel and more. It also brings improved overall stability and an enhanced ART (Android Run Time) making apps open faster than before. 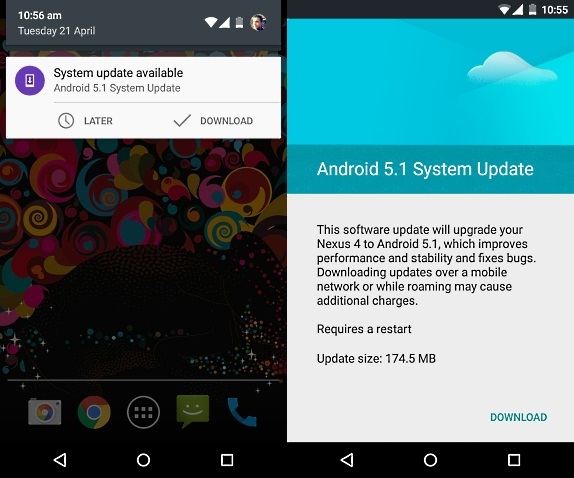 To remind you, Google had shipped the Android 5.1 Lollipop OTA update for Nexus 5 users in India earlier this month. The company had also listed the Android 5.1 factory images for Nexus 5, Nexus 10 and Nexus 7 (WiFi) on its official developer page. If the update is available for device, it will be seen as a system notification. Users can also manually check for it by going into Settings > About Phone > System Updates.